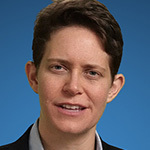 Dorie Clark is an adjunct professor at Duke University’s Fuqua School of Business and the author of “Entrepreneurial You”, “Reinventing You” and “Stand Out”, which was named the #1 Leadership Book of 2015 by Inc. magazine. A former presidential campaign spokeswoman, the New York Times described her as an “expert at self-reinvention and helping others make changes in their lives”. A frequent contributor to the Harvard Business Review, she consults and speaks for clients including Google, Microsoft and the World Bank.